Mister Candy from All-in Medicinal Seeds are feminised cannabis seeds that are originated by crossing the Lavander x Lavander. These weed plants contain mainly Sativa genetics. 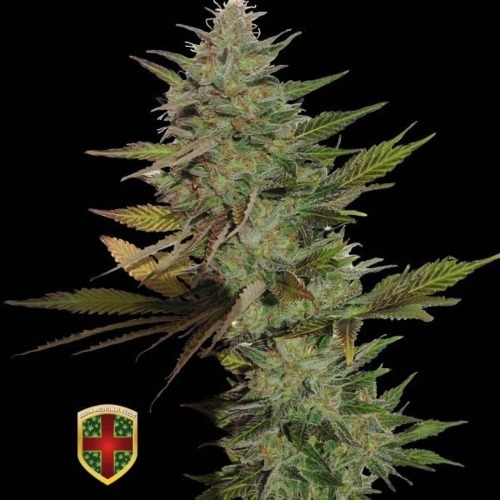 All-in Medicinal Seeds Mister Candy are weed seeds that are appropriate for an indoor grow and outdoor grow. This plant is very stable and produces thick branches with a large central top. When the plant starts to flower you can already see a nice layer of resin. In the maturation the flowers will adopt a nice color of purple and orange. The effect of smoking this weed is powerful and persists for a long time. The Mister Candy weed plants have a delicious aroma with a taste of lavender and mint. This weed is also used as medical cannabis seeds against several problems. When you have some experience in growing weed, than these feminised cannabis seeds are a good choice. Tell us and our customers what you think of the Mister Candy from All-in Medicinal Seeds.